What you need to know about credit card processing. One of the most important decisions that you’ll make as a new business owner is choosing how you’ll accept payments. There are options when it comes to credit card processors (also called merchant account providers) that are definitely worth considering. Here at BankCard USA, we want to provide you with the information you need for choosing the right credit card processor for your business. There are thousands of credit card processors registered with Visa, Mastercard, American Express and Discover. Their primary focus is to collect customers’ money and pass it to the businesses they work with. Processing these transactions is done on a very large scale by several credit card process networks. These include First Data, Paymentech and Global Payments. These companies sell access to their networks on a wholesale basis to other companies that resell them under their own brand. These include big banks such as Bank of America and Citibank. They bundle these services with other merchant services for their business clients. There are also smaller credit card processors that offer more tailored services to their clients. Step 1. The customer submits his/her credit card for payment. Step 2. Authorize.Net manages the complex routing of the data on behalf of the merchant through the following steps/entities. Step 3. Authorize.Net passes the secure transaction information via a secure connection to the Processor. The Merchant Bank's Processor submits the transaction to the credit card network (like Visa or MasterCard). The credit card network routes the transaction to the bank that issued the credit card to the customer. Step 4. The issuing bank approves or declines the transaction based on the customer's available funds and passes the transaction results back to the credit card network. The credit card network relays the transaction results to the merchant bank's processor. The processor relays the transaction results to Authorize.Net. Step 5. Authorize.Net stores the transaction results and sends them to the website for the customer and merchant to see. Step 6. The merchant delivers goods or services to the buyer. Step 7. The issuing bank sends the appropriate funds for the transaction to the credit card network, which passes the funds to the merchant's bank. The bank then deposits the funds into the merchant's bank account. This is called "settlement," and typically the transaction funds are deposited into the merchant's primary bank account within one to two business days. Assessments are the fees credit card companies charge for the service they provide. Assessments average 4% of the total fees required for processing a credit card payment. Credit card companies set these fees and they are non-negotiable. Interchange. The bank that issued the credit card being used will also want to be paid. The largest percentage of processing fees are paid to banks. They are composed of a flat rate for each transaction plus a percentage of the transaction amount. For example, $.10 per transaction + 1.75% of transaction volume. Pricing rules for interchange are varied. Rates can vary depending on the type of card, size of business, and how the transaction is processed (swiped vs. keyed-in vs. online gateway). Processor Markup. The remaining 18% of fees are charged by the credit card processor/merchant account provider. Fees are based on a variety of factors including a business’s risk, size and negotiating power. Processors actually combine several fees including base fees, address verification (AVS) fees, cancellation fees, and monthly/statement fees. Your bank. Most likely, your bank has an arrangement with a processor. If they're a large bank, they may offer a bundled package of merchant services including credit card processing. Internet search. You can quickly look up both local and national credit card processors by doing a quick internet search. You can even check out their reviews on sites like Yelp. Other business owners. Fellow business owners are usually more than willing to share their experience with their own credit card processor. It’s worth the time to ask around to get a good referral or two. This is the most straightforward form of pricing because you can clearly assess total fees that include interchange, assessments and processor markup. Most businesses prefer this option because it is the most transparent. Tiered pricing is another common form of pricing that groups transactions together into tiers with differentiating rates. Often, processors will quote pricing from the lowest tier to entice businesses with low rates. However, rates for other tiers are often significantly higher. These higher rates are often not clear upfront and hidden in fine print. In almost all cases, tiered pricing is not going to be your best option. With ERR, the credit card processor quotes a single rate for every transaction. But, there are often hidden fees for certain categories of cards, such as business and reward cards. This is the most basic type of credit card processor pricing option, and the best option for many small businesses. The fixed pricing is structured with a percentage-based and per-item for all transactions, and usually the rate is reasonable. What exactly is the difference between interchange plus and tiered pricing? There are similarities between interchange plus pricing and tiered pricing, and they can even be confused. However, it’s important to take the time to determine what you’re really looking at when you receive a quote from a credit card processor. Interchange plus quotes include a percentage per transaction plus an additional amount which is the markup that the processor is making on top of the interchange. This additional amount will be less than .70% of your volume and under $.30 per transaction. If you see amounts higher than this, look elsewhere! With tiered pricing, you’ll receive a single price quote (often called a qualified rate or a discount rate). This will always be more than 1%. Often, it’s in the range of 1.6% to 2.3%. Credit card processors that offer tiered pricing will not always be upfront about downgraded transactions (often a large portion of your transactions) that will have a higher rate. Before you agree to any tiered pricing plan, make sure to ask about the mid-qualified and non-qualified rates. These are rates for rewards cards, business cards, and when customers call in orders and don’t sign the receipt. If the rates are substantially higher for these types of transactions, you may be better off looking at another pricing option. Are you more confused than ever? Don’t be. There are a few simple strategies for finding the right credit card processor for your business. Consider only credit card processors that offer a transparent plan. These providers will almost always provide you with the best price without surprise hidden charges. As well, you can conduct an apples-to-apples comparison of these companies because they are all using the same pricing structure. Don’t accept a cancellation fee. Most processors will initially add a cancellation fee to their contract. This fee can range from $250 to thousands of dollars. When you’re a new business, being locked into a long contract can be risky. Most salespeople negotiating a contract have the authority to waive this fee if it means getting your business. If they agree to do this, make sure it is clearly written into your contract. Get reviews. Take the time to find out what other businesses think about any processor you’re considering. You can get good insights from the Credit Card Processor Directory, as well as from the Better Business Bureau. Don’t lease equipment. Those credit card terminals in small stores are not all that expensive to buy. 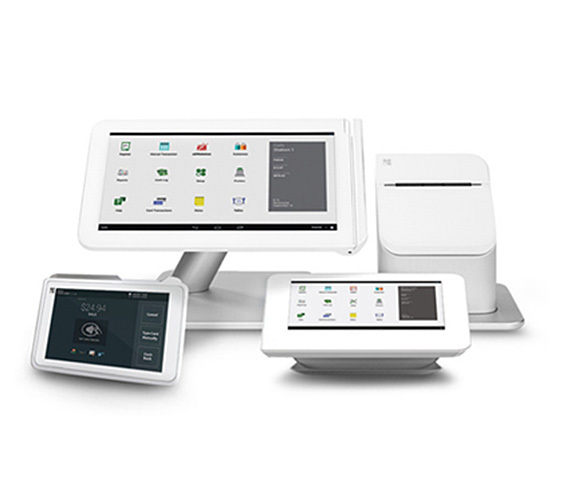 Even the larger POS systems can be purchased for less than $2,000. Instead of paying a monthly rental or lease fee to a credit card processor, consider buying your own equipment. It will save you money over the long run. Walk away from any proposal that looks too good to be true. Unfortunately, there are fast talking salespeople and some less than up-front businesses in the credit card processing industry. They may try to lure you in with unbelievably low processing rates. But, what they’re usually not telling you is that there are lots of extra fees that can end up costing you substantially more than you should have to pay. By sticking to the legitimate, honest providers, you’ll have the best chance of minimizing any costly surprises down the road. Of course, you need more than just a credit card processor to take customer payments. You’ll also need some specific tools depending on the type of business you have. A terminal is the piece of equipment you see on a retail store’s counter to swipe a credit card. The information collected from a terminal is encoded and passed on to your credit card processor safely and quickly. In almost all cases, you will not need to purchase a new terminal if you switch processors. They can typically be reprogrammed by your new processor. A gateway refers to the software that transports the credit card information from your customers (either collected on your website or a virtual terminal) to your credit card processor. If you sell online, you will definitely need a gateway, as well as a credit card processor. The gateway is what sits between your shopping cart software and your credit card processor. Authorize.net is the most widely used gateway, but some processors and resellers have their own gateways that they offer—sometimes at below-market pricing. These captive gateways can be acceptable for most businesses. However, there can be challenges down the road when you want to switch processors. A “point of sale” system is a terminal that has more features and functionality for a business. This computerized solution connects through the gateway and can collect data on purchases and generate reports. Often times, POS systems are specific to an industry such as to restaurants or retail. While we’ve already touched on the basics of credit card processors, there are some other commonly used terms that are worth familiarizing yourself with. 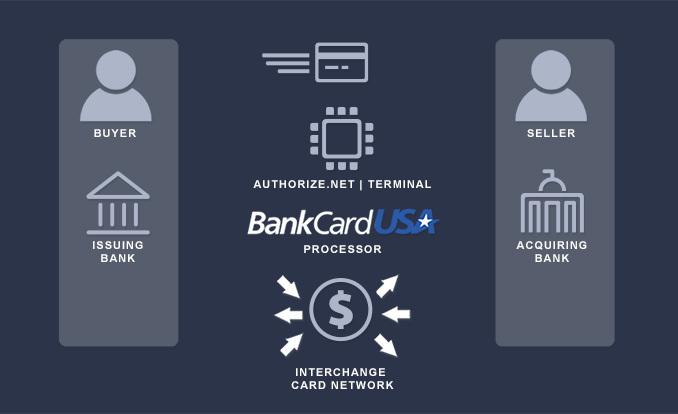 Third party processors serve as both gateways and processors for online payments. The most popular of these processors are PayPal, Google Checkout and 2CO. 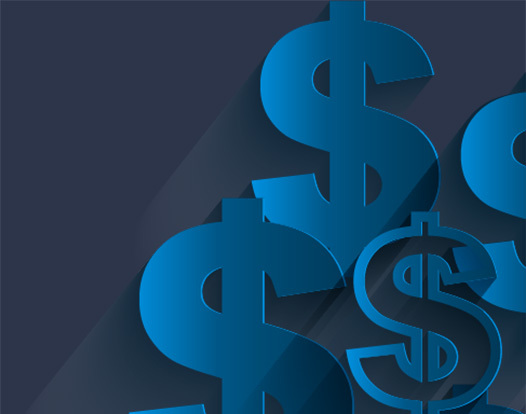 For very small businesses with monthly revenue under $5,000 per month, they are often the cheapest solution because they have such a low setup fee and a fixed pricing model. Once you grow, it pays to look elsewhere because third party processor fees can be as high as 5.5% per transaction. It’s also important to note that when you use a third party processor, their name will show up on customer statements instead of your business. This can be confusing to your customers and can lead to potential chargebacks. A chargeback is when a customer disputes a charge that appears on their bill. If a merchant is unable to pay back a customer who is disputing a charge or provide them with a new product, the merchant account provider will be liable for the amount. Credit card processors sometimes require businesses to put aside a certain amount to cover potential chargebacks. Typically, only businesses with bad credit or those in risky industries are asked to meet a reserve requirement. PCI compliance rules are to make sure that customers’ credit card numbers are not easy to steal. Businesses must meet PCI compliance requirements. However, this is easy to achieve by simply not storing cardholder data, and letting your gateway store it instead. Understanding the ins and outs of credit card processing can be a challenge. However, we hope we’ve provided a little insight and guidance to help you choose the right credit card processing option for your business.